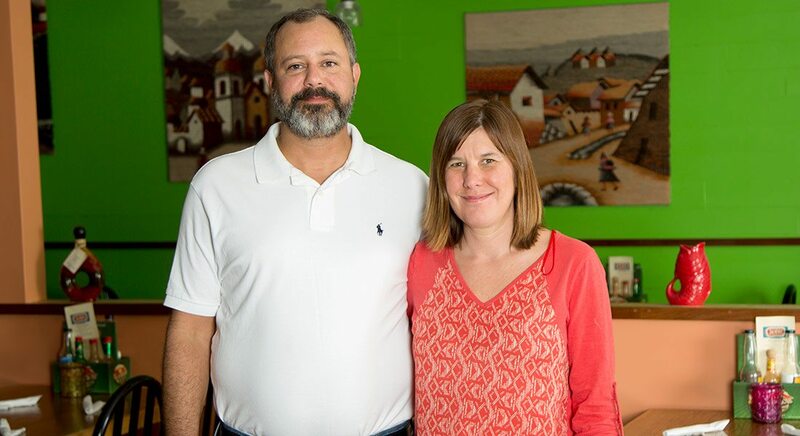 Jeremy and Kristi Bond, owners of FishMaine, Inc.
FishMaine isn’t just about fish and food (or drinking like a fish). FishMaine is about creating a great experience that makes our customers want to keep coming back. Now, it so happens that we’re located in Maine, and most likely, the people who come to our restaurants like eating fish. But the “Maine” thing we have in common is that everybody likes Maine. Everyone who works at FishMaine is lucky, because we get to live in—or near—Bar Harbor, one of the prettiest, friendliest, and kitschiest small towns in America. Tourists visit Bar Harbor because they want a little taste of what living in Maine is all about. We want tourists to wish they lived here, so they come back often. And when locals come to a FishMaine restaurant, we want to remind them how great it is to live here. That’s what FishMaine’s all about – The Maine Experience. Our ingredients are as fresh, seasonal, and local as possible. We feature local lobsters, oysters and clams whenever they’re available. Even our mustard is local! Our beer supplier, Atlantic Brewing Company, brews and distributes New England beers. We try to create a flexible, family-friendly environment for our staff and we think it’s reflected in their great food, great drink, and great service. We hire as many local residents as we can. We look for servers who are energetic, friendly, and caring. We know and love Bar Harbor. We try to hire, source, and buy as locally as possible. We’re working to keep Bar Harbor family-friendly by supporting local businesses, families, and education. We’re donating the proceeds from the sales of our Park Street Pretzel at all of our restaurants to the Park Street Playground Project. We — Jeremy and Kristi Bond — were basically destined to own a small group of restaurants in Maine. Both of us have generations of Maine in our blood. Jeremy’s father, James, has been running restaurants for decades and opened Fish House Grill back in the ’80s. Jeremy’s been working in restaurants since he was 18. Kristi worked “front of the house” in Bar Harbor every summer during college. Jeremy and Kristi met when Kristi was a physical therapist and Jeremy was her patient. Jeremy soon coaxed Kristi back into the restaurant biz. Next thing we knew, we were FishMaine!